This dining table can be made in your choice of timber and can incorporate cross banding, a planked or pegged top, off-set boards or a shaped edge - see Style Choices for further details. You can also choose a different style of leg for this table - see Leg Styles for further details. Level of distressing: Light, Medium or Heavy (10% upcharge for Heavy). View our Distressing Options for further details. This table can be finished with a polished or painted finish - view our Colours and Finishes for polished finishes or Painted Finishes for further details. 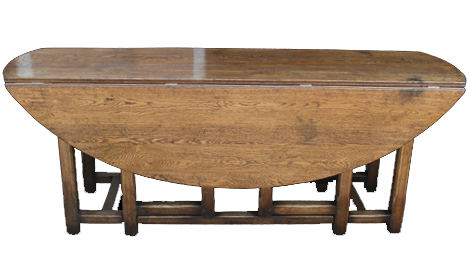 If you are interested in this dining table, please contact us for further details.